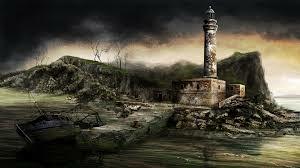 Dear Esther is very beautiful considering its age and the fact it is a Source Engine title. It has been sitting in my Steam directory for a couple of years now. I happen to spot that it is an officially supported Vorpx title as I was trawling through the supported games list looking for my next VR fix. I have to say that this game is fantastic in VR. The experience with Vorpx is beaut iful, the 3D is vivid and after a little time setting up Dear Esther feels very close to a native VR title. The relaxed nature of the game only adds to the experience. You are free to take your time to slowly walk the beautiful vistas. I found my self remembering trips to the beach with my family and reminiscing. If you are interested in hearing more about my experience feel free to check out my supporting video.